NH Flavors Quiz | What's your New Hampshire Travel Personality? Discover your travel personality and which New Hampshire vacation is suited for you! Where do you prefer to stay? Which location would you choose? How long is your vacation going to last? What would you most likely be doing on vacation? Appalachian Mountain Club | The outdoor adventure headquarters, visit the AMC for more than 1,800 miles of trails, unique huts and lodging, and activities like cycling, skiing, hiking, and paddling. Candia Springs Adventure Park | Have a one-of-a -kind experience at Candia Springs Adventure Park with your choice of a thrilling waterpark, a water challenge course, the aerial adventure forest, off-roading, and guided zipline tours. Whale's Tale Waterpark | Voted 'Top 25 Waterpark' by Tripadvisor, Whale's Tale Waterpark serves adventure with 18 water slides, a huge wave pool, and a relaxing river for the entire family. Kick back and relax the way you want. Enjoy New Hampshire and the finer moments in life while sitting by a campfire, treating yourself to a spa day, and simply taking life slow. Mill Falls at the Lake | Experience Lake Winnipesaukee and the relaxing luxuries of Mill Falls at the Lake. Stay at one of four inns, awaken your senses in their Cascade Spa, dine at Town Docks or Lago, and shop the 9 fabulous shops. Naswa Resort | Perfect for a weekend stay, a romantic getaway, or a peaceful break from everyday life with your family, our the resort has the breathtaking views and relaxing vibe you're looking for. Sailmakers Inn | A 10 room Inn located in historic Portsmouth, New Hampshire. Enjoy our modern amenities, cozy decor and lush gardens all within steps of a vibrant downtown area. You my friend, are the traveler personality that believes every vacation should be spent eating well. New Hampshire has restaurants across the state that offer incredible meals for every food mood you find yourself in. Hop & Grind | In the mood for a craft burger? Hop & Grind in Durham, NH specializes in burgers, craft beer, and a retro and nostalgic environment. Hart's Turkey Farm | Every day is Thanksgiving at Hart’s in Meredith, NH. Locally owned and operated by the Hart family since 1954, all pies, pastries, ice cream, and meals are prepared to perfection. The Barley House | Located in both historic downtown Concord, and in North Hampton, NH, enjoy hearty, classic, delicious fare, and a wide selection of craft brews. Exquisite food and luxurious sleeping quarters is what you envision a vacation to look like. From resorts to restaurants, you'll find the leisure vacation you here in New Hampshire. The Grand at Bedford Village Inn | Inspired by the Bedford Village Inn's traditions and style, the Grand embraces the elegance of what's new and what's next for luxury, boutique hotels with exceptional decor and accommodations. Omni Mount Washington Resort | Gracious in ambiance and generous in amenities. A favorite New England retreat of presidents, poets and celebrities, our hotel delights every sense with enchanting music, refined dining and luxurious décor. The Centennial Hotel | With its grand 19th century Victorian façade and chic, sophisticated interiors, the beautifully renovated Centennial Hotel bridges past and present like few other hotels. 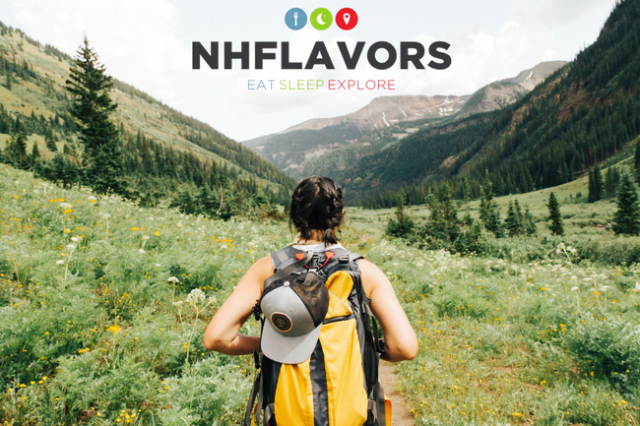 Visit NHFlavors.com for your New Hampshire dining, lodging, and adventure inspiration!